Barcelona ICD. A commemorative T-shirt has been designed on the occasion of the 5th edition of the Barcelona International Community Day, and the 200 first visitors will get it for free! 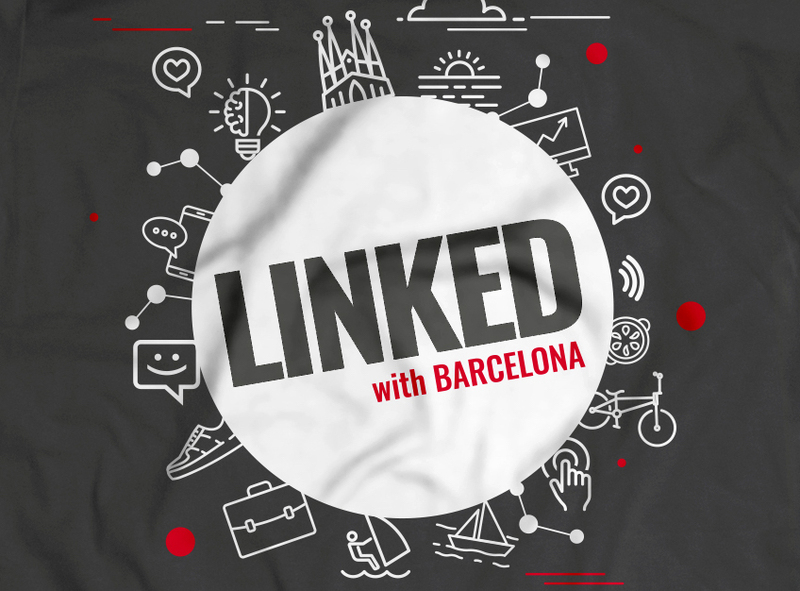 Attendees wishing to wear one of these T-shirts -especially designed for the Barcelona International Community Day 2018 and including this year’s motto “Linked with Barcelona”- must be one of the first 200 to arrive to the welcome area enabled at the Museu Marítim, venue of the edition, on the same day October 20th from 10:00 to 10:15 a.m. It’s the way chosen by the organization to commemorate and celebrate the growing success of participation and warm welcome to the Barcelona ICD by the expat community since its first edition five years ago. Last year the event reached a new record in terms of participation: more than 4,500 visitors, from 121 countries, members of the international community that lives and works in Barcelona and who mostly assisted for the first time: a notable increase in attendance since 2014, its first edition, when this expat event received around 2,600 visitors. This initiative, promoted by the Barcelona City Council, strengthens as the meeting point for expats where they are welcomed to their new city, helped with their integration, informed about specialized services, and offered activities focused on their real inclusion and immersion. The business and networking opportunities that arise throughout this day are another of its attractions. The assistant’s profile also expands year after year. This international meeting has place for students, entrepreneurs, and families with children who follow the international and professional adventure of one or both parents, members of international research teams, liberal professionals, among many others. Access is free and you only need to register through this form to get your ticket. The Barcelona ICD 2018 welcomes everyone and celebrates its integrating character with an exclusive T-shirt for the first 200 early birds! If you get it, do not forget to take a selfie wearing it and share it in your social channels with the official hashtag of the #BarcelonaICD event. In addition, we encourage you to join our group of Linkedin and Instagram community to keep up with the news, activities and projects that both the Barcelona City Council and Barcelona Activa offer for the international community. Link with Barcelona!